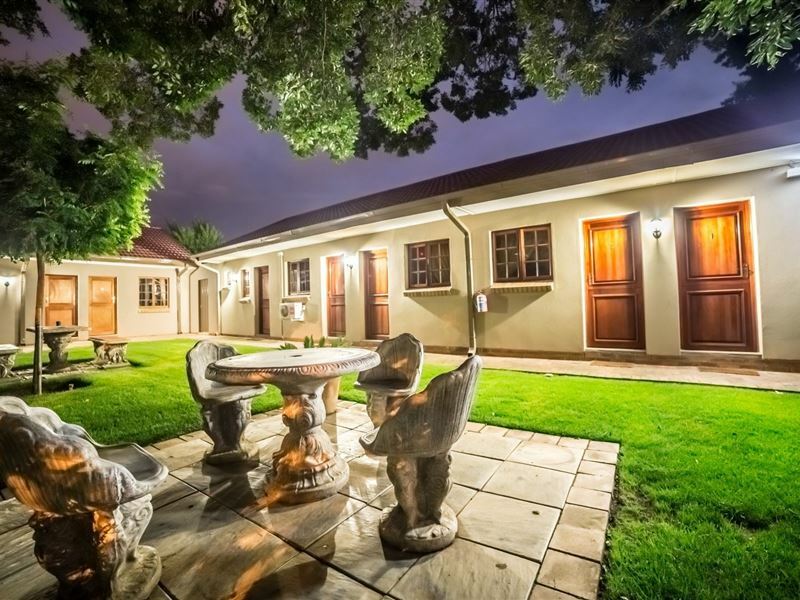 Beryl1 Guest House offers luxury accommodation situated in the quiet and upmarket area of Flamwood in Klerksdorp. 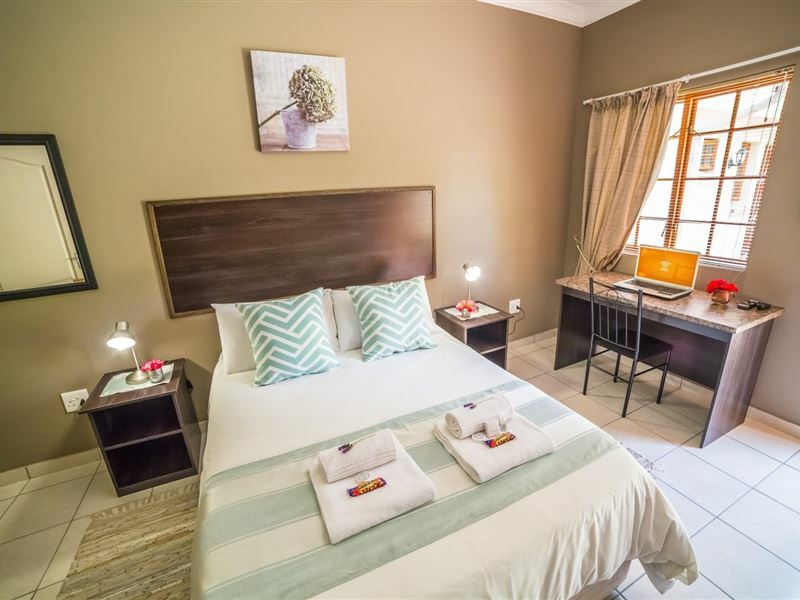 Each room has an en-suite bathroom with a shower, a TV with DStv and a small kitchenette with a fridge and a microwave oven. 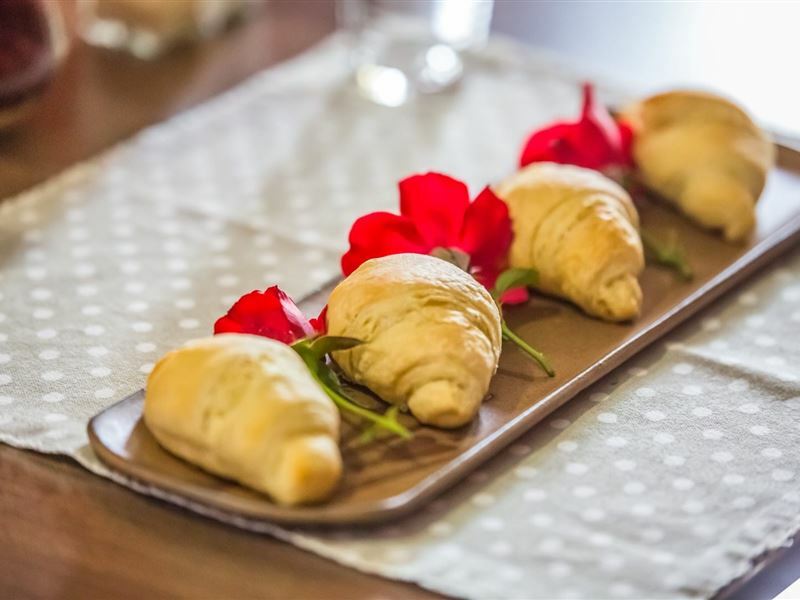 Rooms are clean and comfortably furnished, and have direct access to the garden where braai facilities are available. 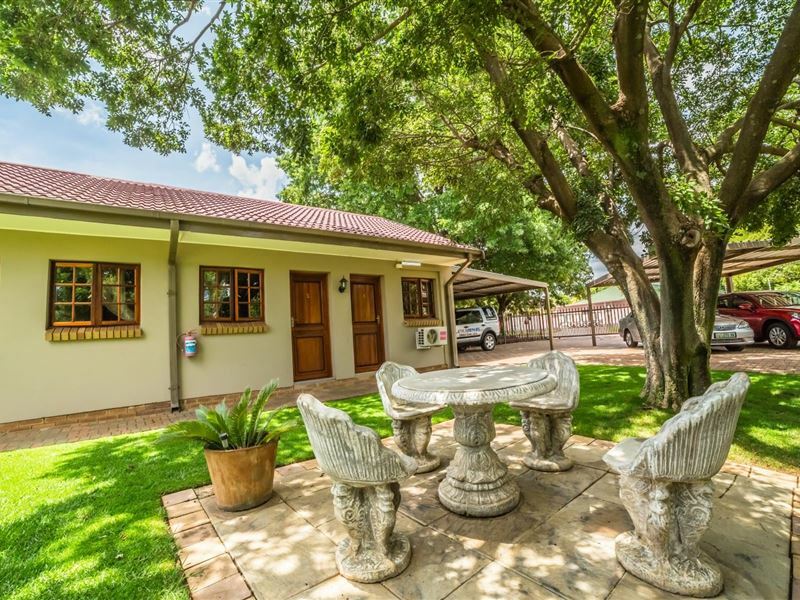 Ideal for business people or families on holiday, the property is safe and securely fenced with an electrical fence and remote-controlled gate. 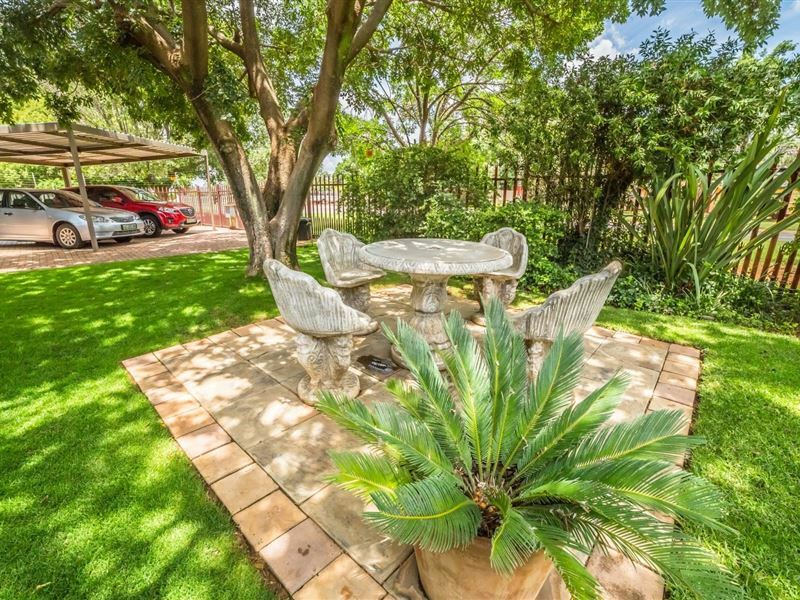 Looking for some quiet time, guests can relax outside in the cool shady garden. 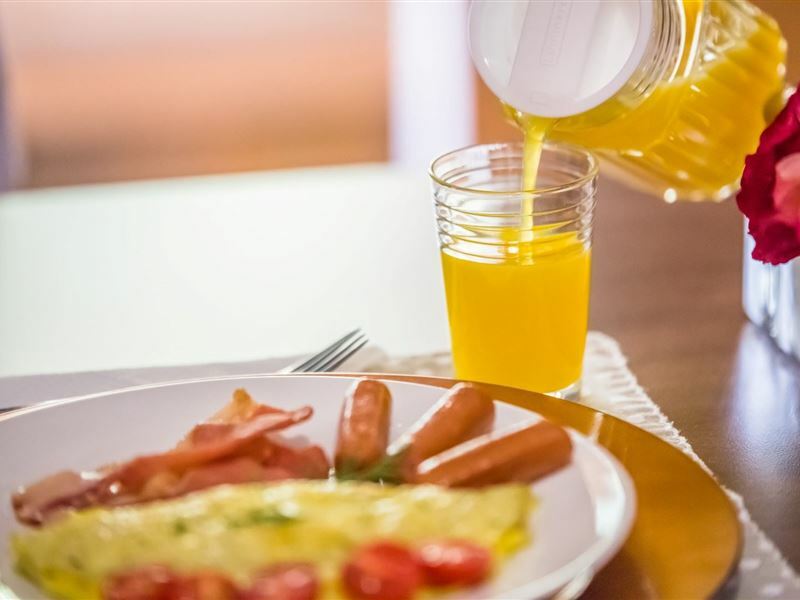 A delicious breakfast is served in the dining room with supper available by prior arrangement. 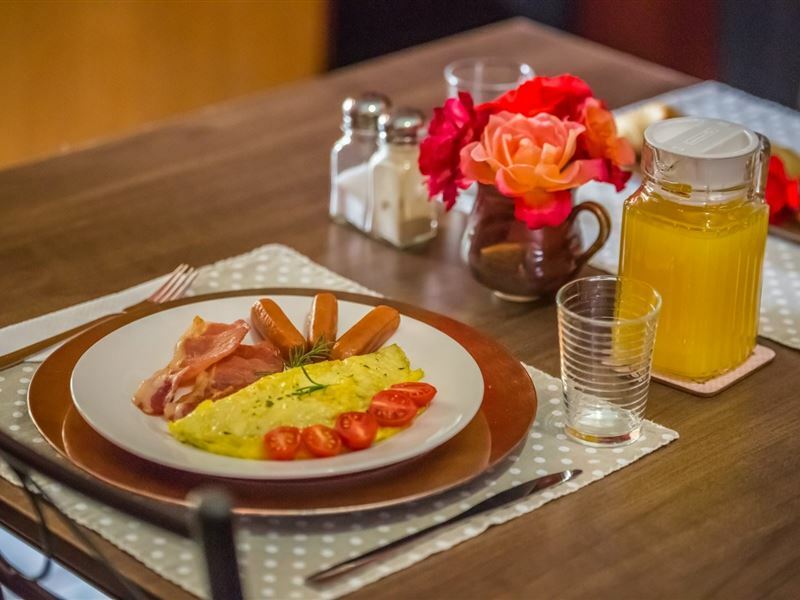 The guest house is conveniently located close to the hospital, a number of restaurants, schools and shopping centres. Fantastic accommodation. Owners very friendly. Safe and secure and upmarket. Graag wil ek vir Egbert en Sukie,baie dankie se,vir n fantasties rustydjie.Dankie vir n heerlike ontbyt,pragtige tuine,veilige parkering,skoon swembad,gerieflike braai area,absoluut netjiese en puik toegeruste kamers en uitstaande diens.Ons sien julle sommer gou weer en ons sal jul gastehuis vir enigiemand aanbeveel. Koos en gesin. 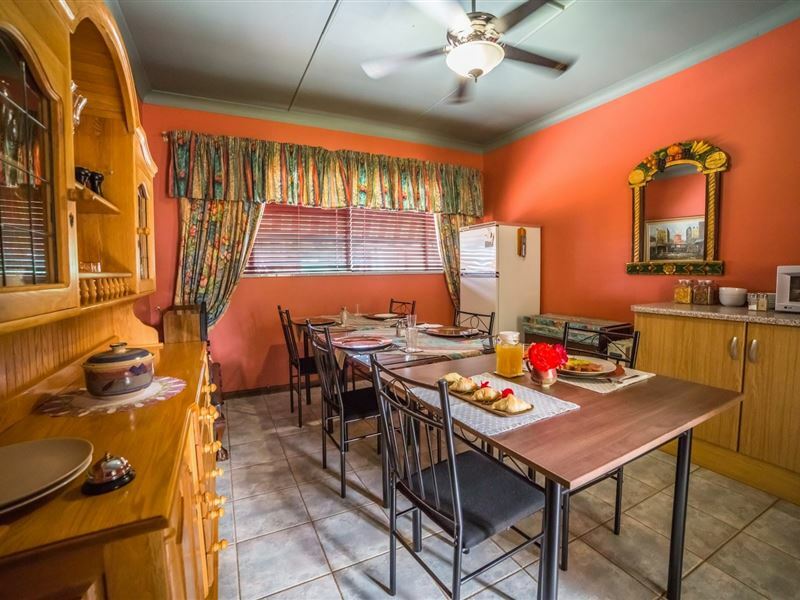 Was baie lekker gewees, "cosy" en baie netjies. Het dit baie geniet. Sal die blyplek aanbeveel vir enige iemand wat &apos;n rustige slaapplek soek. 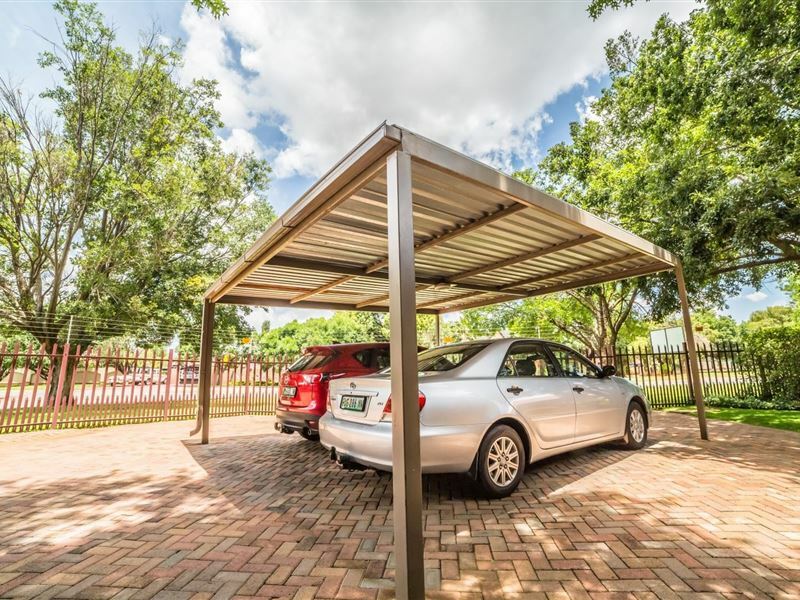 Request a quote from Beryl1 Guest House at no obligation. Pets are permitted at Beryl1 Guest House. Prior arrangement is essential. Contact the establishment to confirm pet types and sizes allowed.